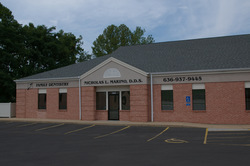 Dr. Nicholas L. Marino is committed to providing excellence in dentistry, and stands out as a leading dentist in Festus. The doctor uses the latest in dentistry techniques to provide you with a beautiful and healthy smile. Additionally, Dr. Nicholas L. Marino believes strongly in education to prevent oral health problems before they occur, and makes sure to keep patients fully informed about their dental health. 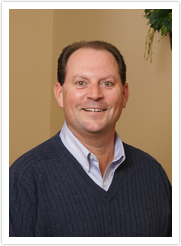 Read more about Festus dentist Dr. Nicholas L. Marino below. Nicholas L. Marino, DDS graduated in 1990 from the University of Missouri, Kansas City School of Dentistry and opened his own practice in Festus after graduation. He enjoys being a Dentist and helping his patient’s with their oral healthcare. A healthy smile leads to a healthy body! Dr. Marino is a member of the American Dental Association and the Greater St. Louis Dental Society. His office supports the Jefferson County Rescue Mission, Give Kids a Smile and the Donated Dental Services Program by donating their time and services for those in need. Dr. Marino also enjoy being active in the Festus community by being a member of the Mineral Area Dental Study Club, the Festus/Crystal City Rotary Club and the Twin City Area Chamber of Commerce.